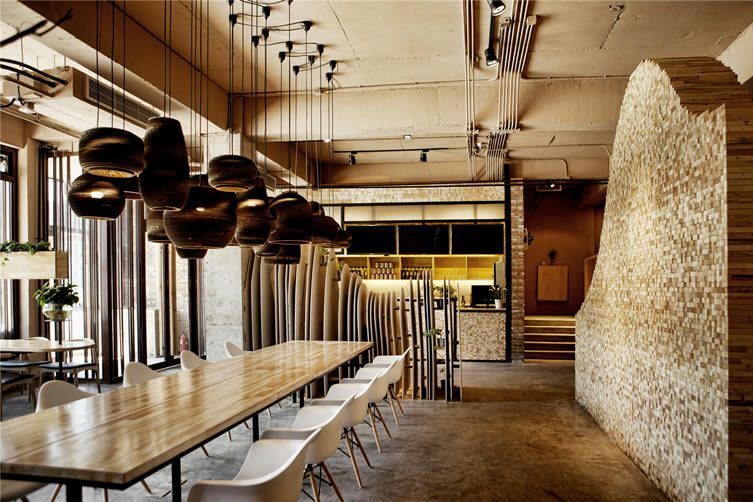 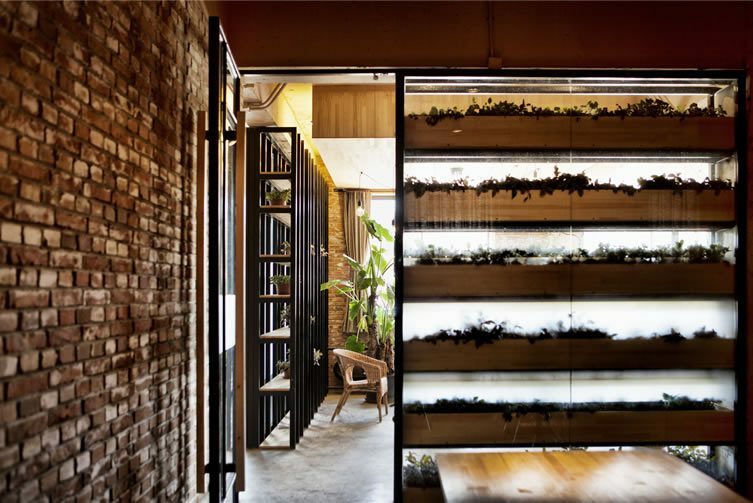 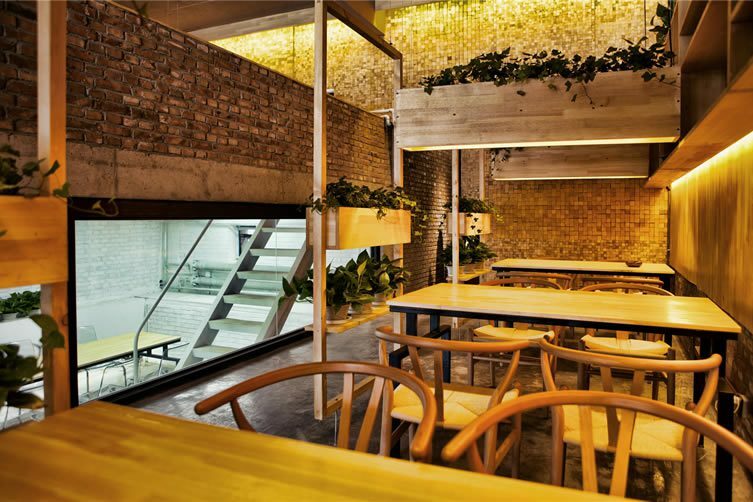 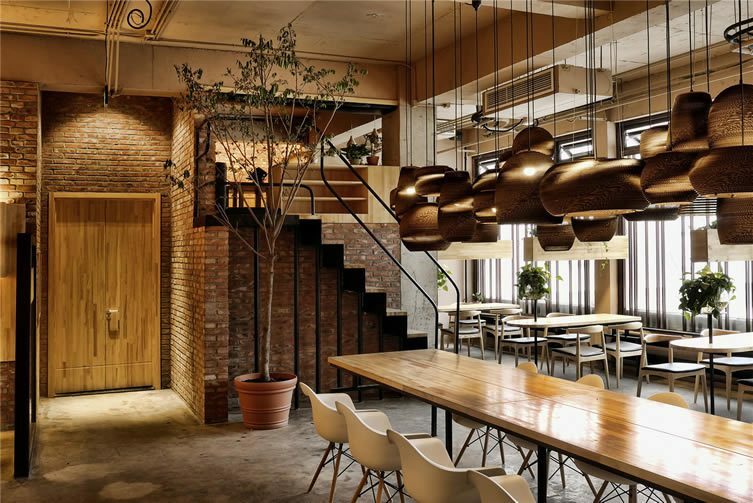 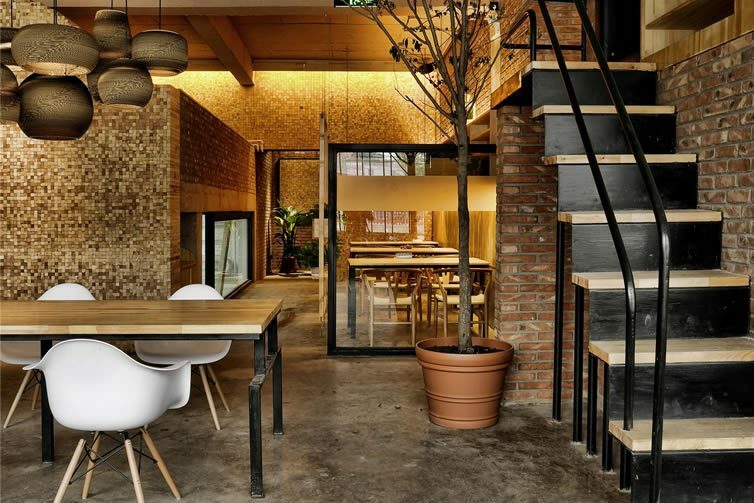 With a limited budget and challenging room size, designers Fei Pan, Zhi-Bang Shao, and Xiao-Han Li (of Robot3 Design), set about converting a space at Beijing’s Jing Yuan Art Center into a branch of Shan Café. 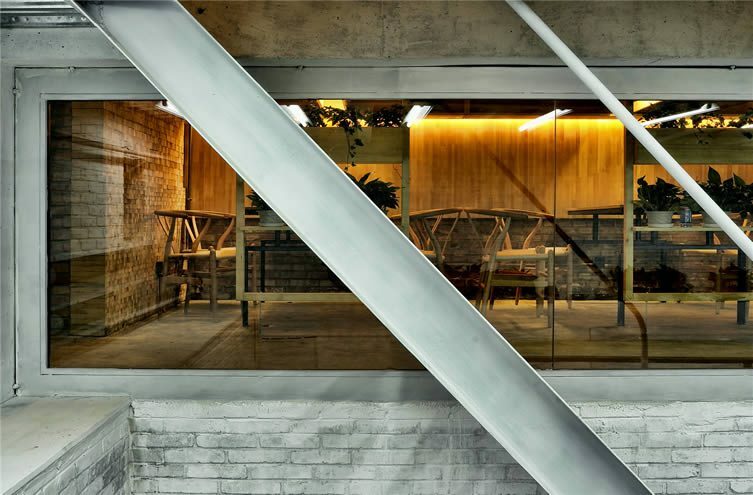 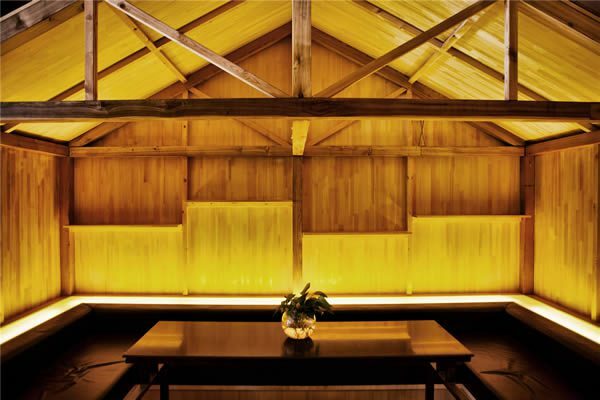 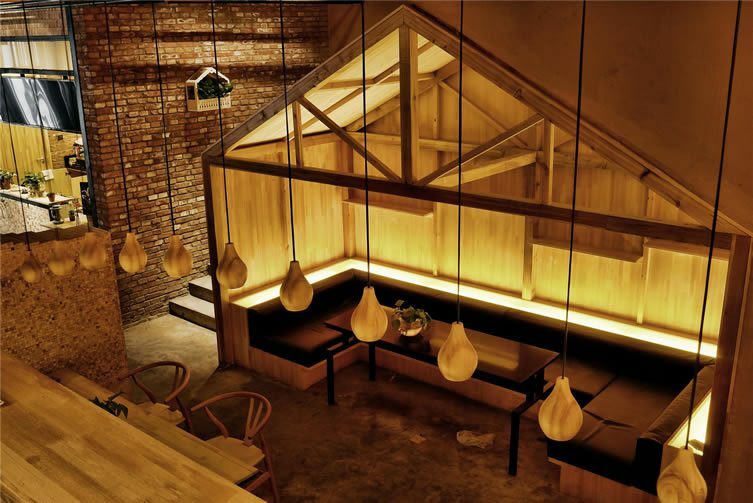 Referencing the original Shan, at the foot of Beijing’s Fragrant Hills, and using common materials like wood, brick, and cardboard, the project became a labour of love; the trio of designers remodelling the single-storey space they were given, working it into a basement and mezzanine; complete with a log cabin and plenty of greenery. 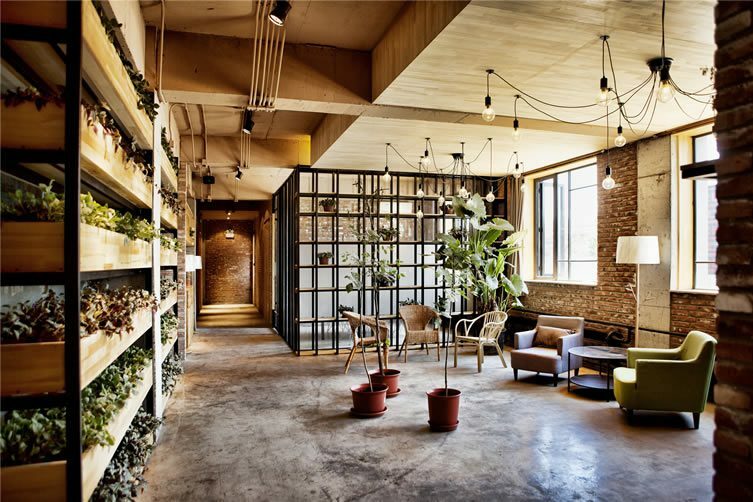 It all amounts to an experience that evokes brisk walks through airy peaks (shan meaning mountain), and the designers’ lofty ambitions are nicely realised; the arts centre’s new ‘free’ café — the intention being folk will settle in for a long innings, tapping away on a MacBook, or discussing art deals — is quite the proverbial breath of fresh air. 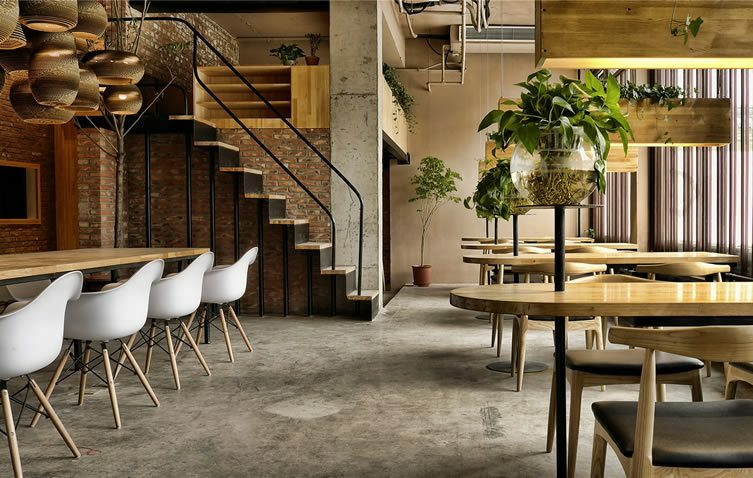 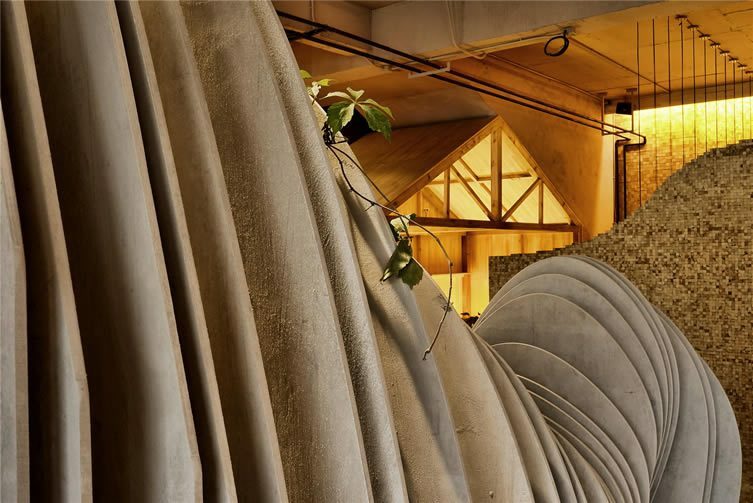 Thanks to Pan, Shao, and Li, humble materials have been elevated to new heights, and the art centre’s new split-level café is an exercise in surpassing briefs. 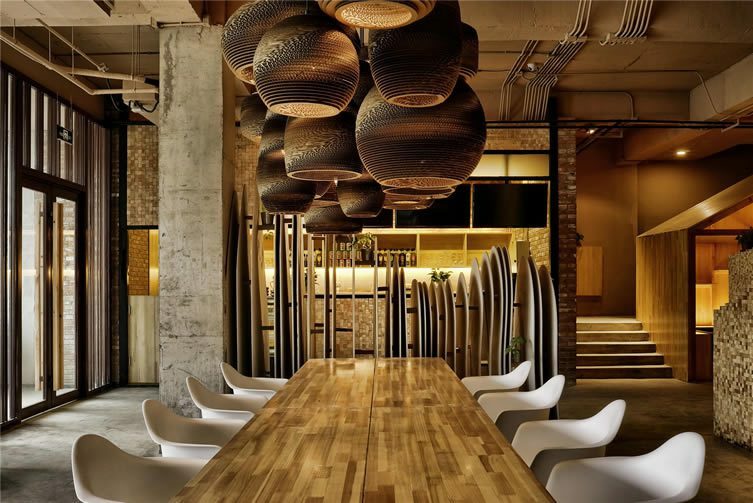 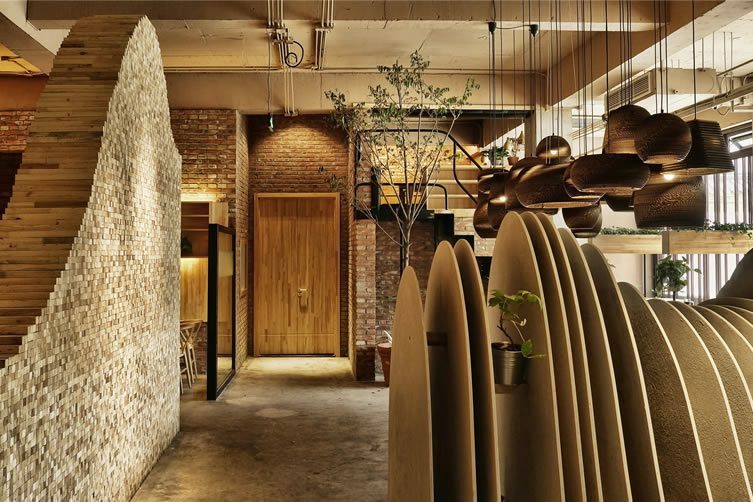 Bold and beautiful, this new Shan Café should serve as an inspiration for anyone in the market to stimulate emotion in design.